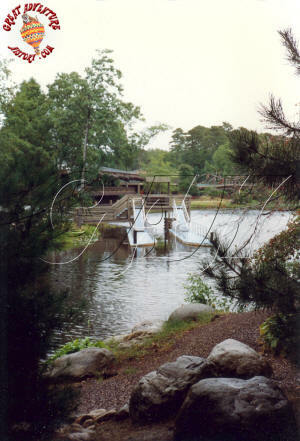 Boats are one of the oldest attractions at parks around the world. Dating back to the first amusement parks, many of which were located on bodies of water, boat rentals were one of the first amusements available. 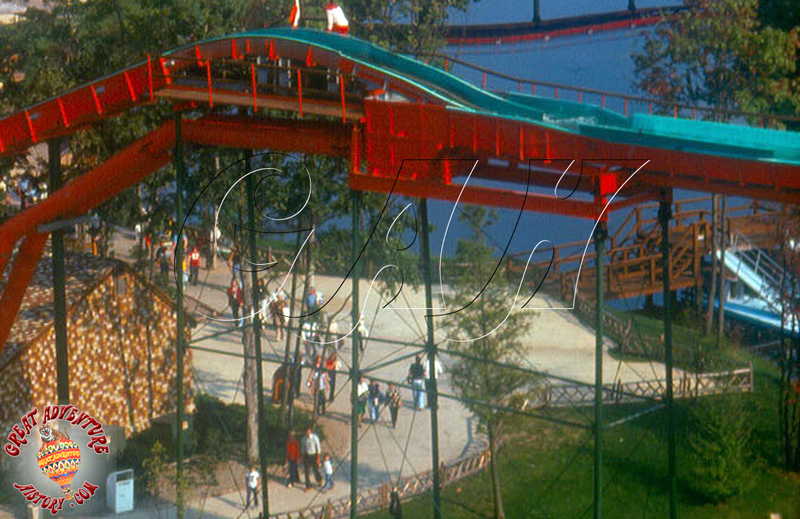 The low tech attractions offered a self powered ride in the days before steam and electric power, and continue to delight guests today in many parks. 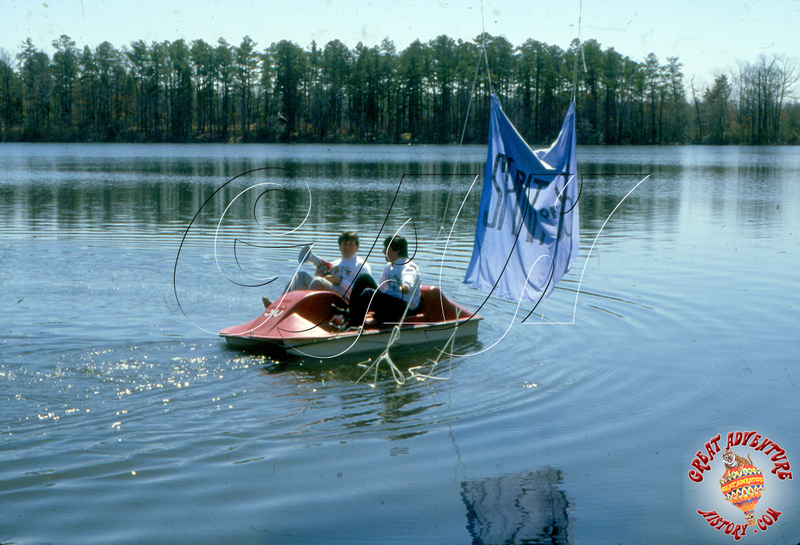 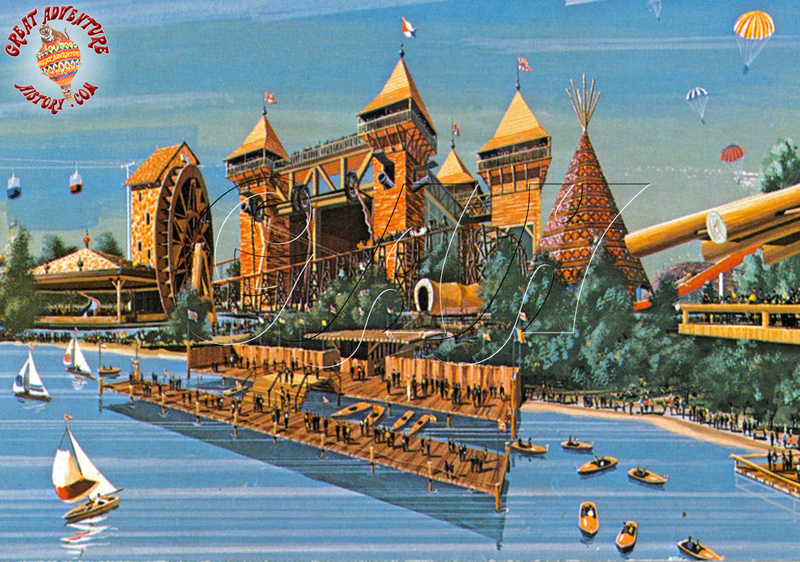 One of the original attractions envisioned for Great Adventure was boat rentals to take advantage of the properties abundant bodies of water. 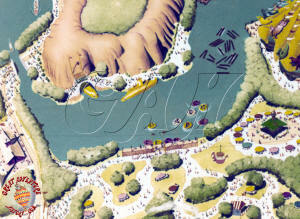 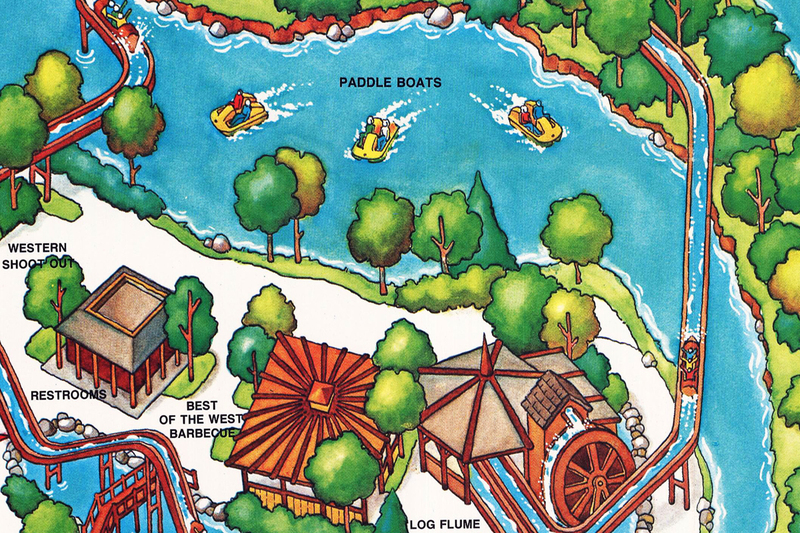 Planned as part of the theme parks as well as part of the resort areas, rental boats were always included in the maps and renderings of the park dotting the waterways with dozens of vessels of varying shapes and sizes. 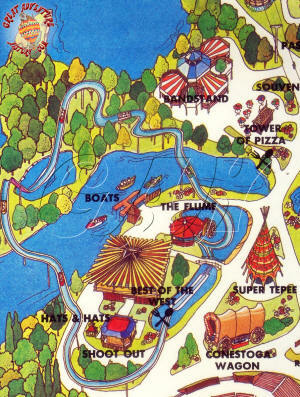 When the plans for the Enchanted Forest were finalized, the idea of boat rentals was included as part of the park's Rootin' Tootin' Rip Roarin' western themed area of the park. 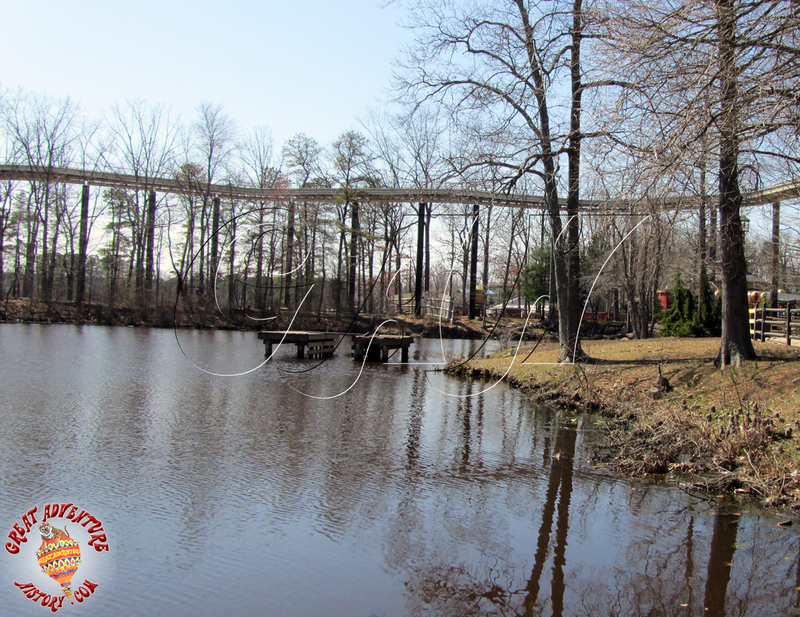 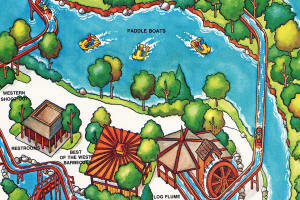 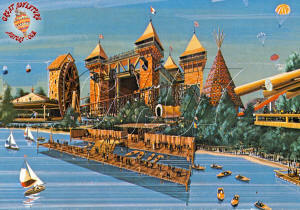 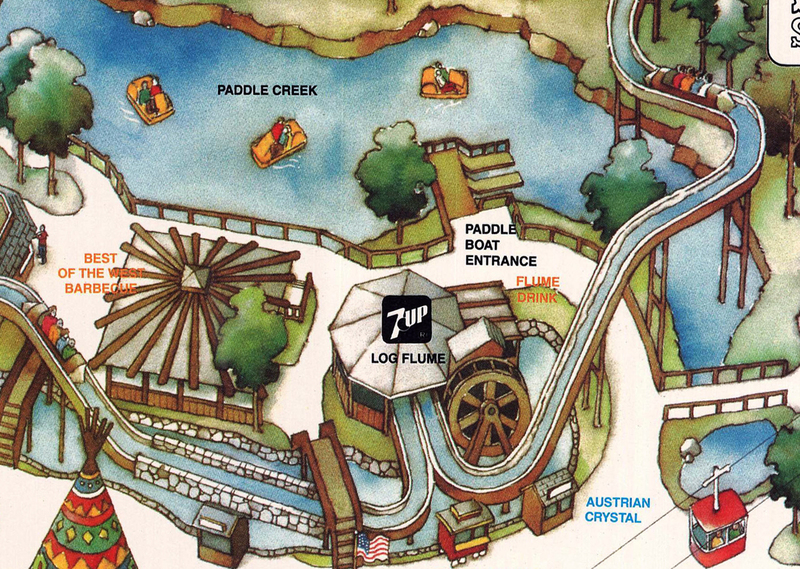 The renderings depict sailboats, canoes and small motor boats as part of this attraction located behind the Log Flume and Best of the West on the lake. 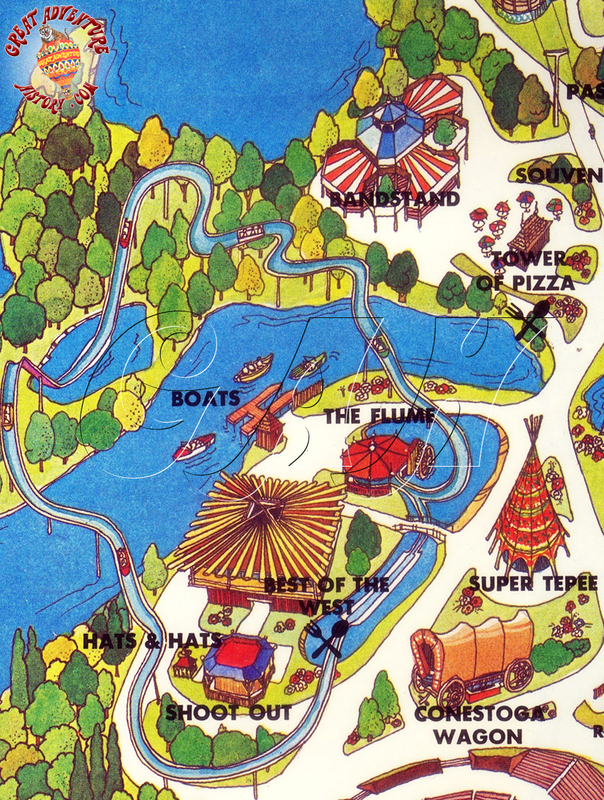 When the park opened in 1974, the boats were depicted on the map and listed as an attraction but they never actually were added to the park. 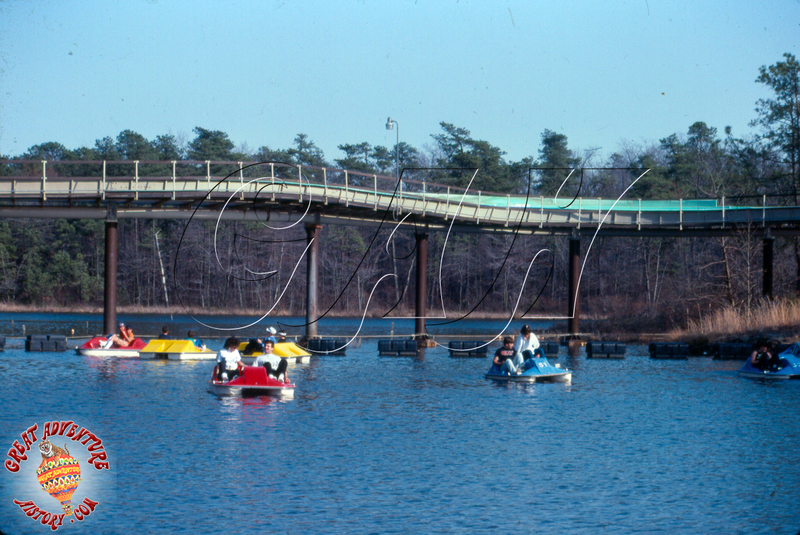 It would take nine years for a boat attraction to actually arrive in the park with the addition of the Paddle Boats for the 1983 season. 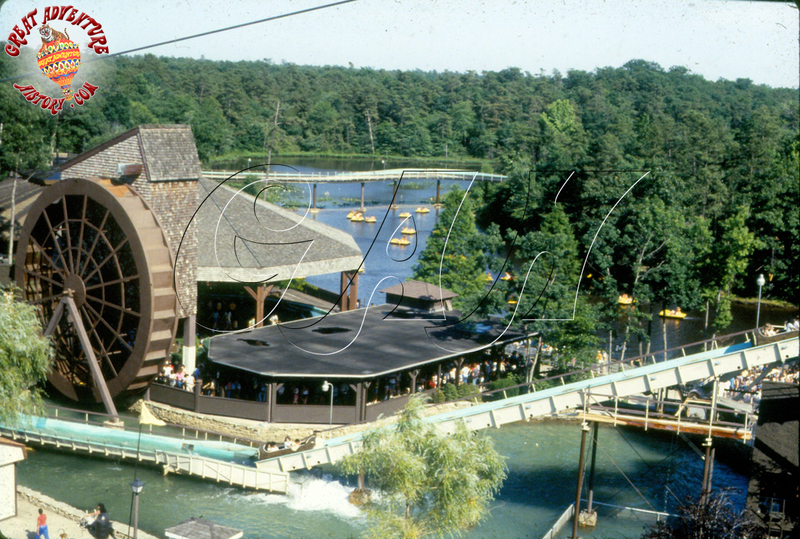 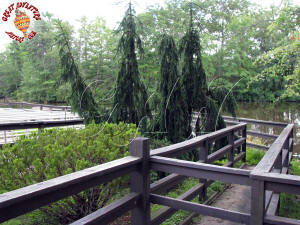 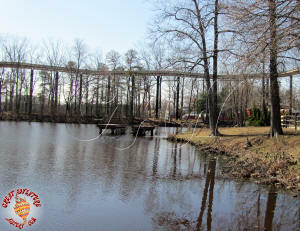 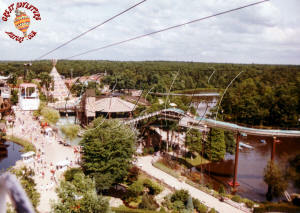 Six Flags Great Adventure was in a prolonged state of growth through the late 1970's and into the early 1980's. Each year saw attendance grow by leaps and bounds and each season saw large capital improvements to continue to increase ride capacity to handle the growing crowds. 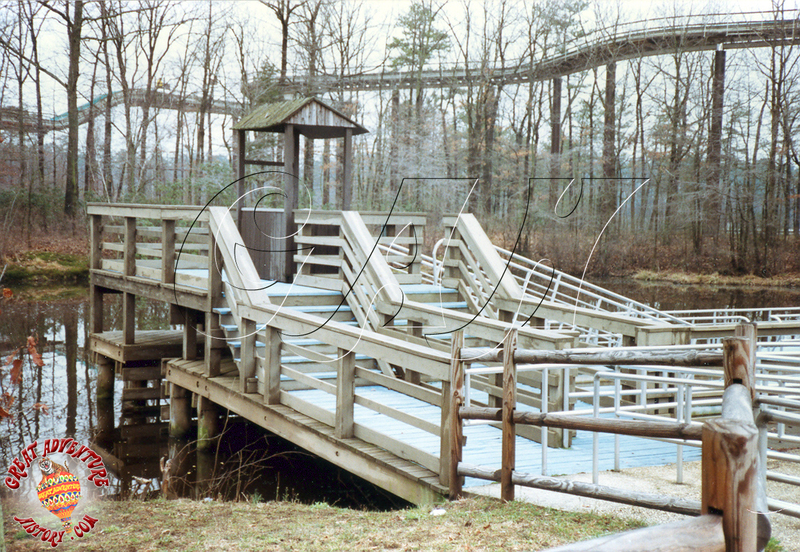 The 1983 season was truly a landmark year for the park with the introduction of three major attractions throughout the park with the arrival of Freefall, Parachuter's Perch and the Water Ski Spectacular. 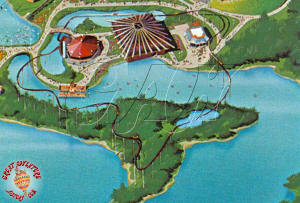 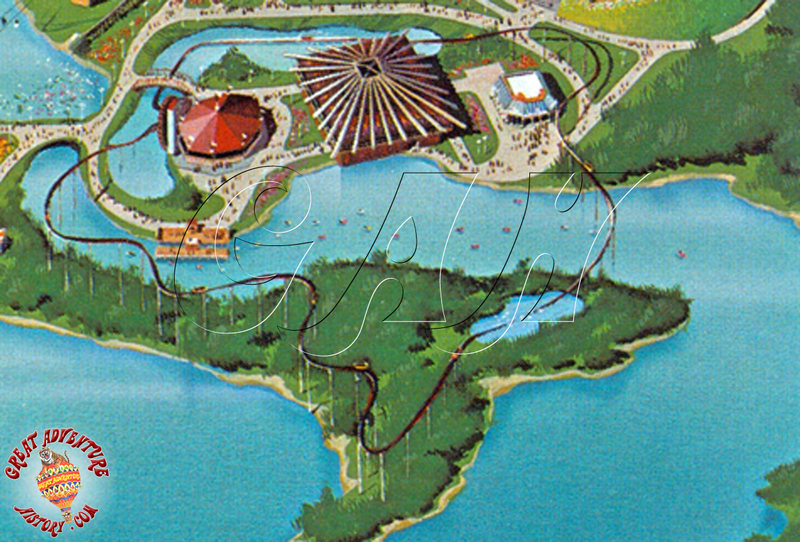 The addition of the Water Ski show and Lakefront Stadium required draining Switlik Lake at the end of the 1982 season so stumps that were just below the water surface could be removed and sections could be reprofiled for the operation of the power boats as well as adding moorings for the stunt ramps. 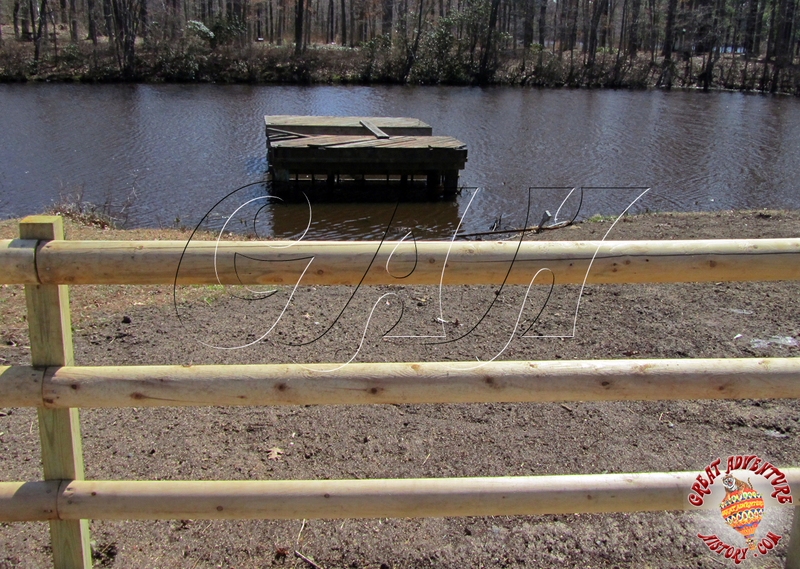 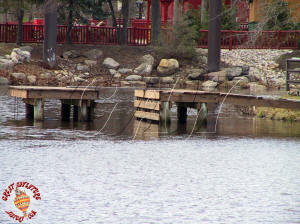 With the lake drained, it presented the opportunity to finally add the boats, so pilings were placed to create the dock for the Paddle Boats. 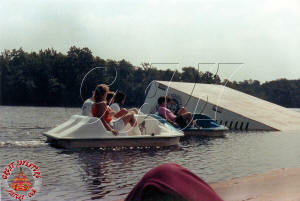 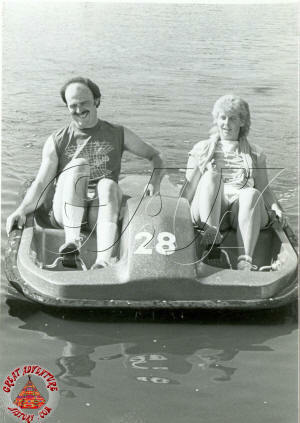 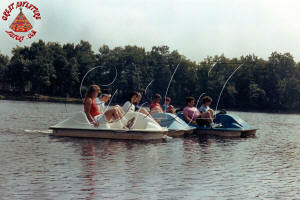 Though overlooked, the Paddle Boats were yet another attraction added to the park for the 1983 season. 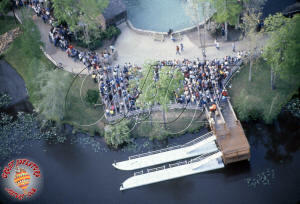 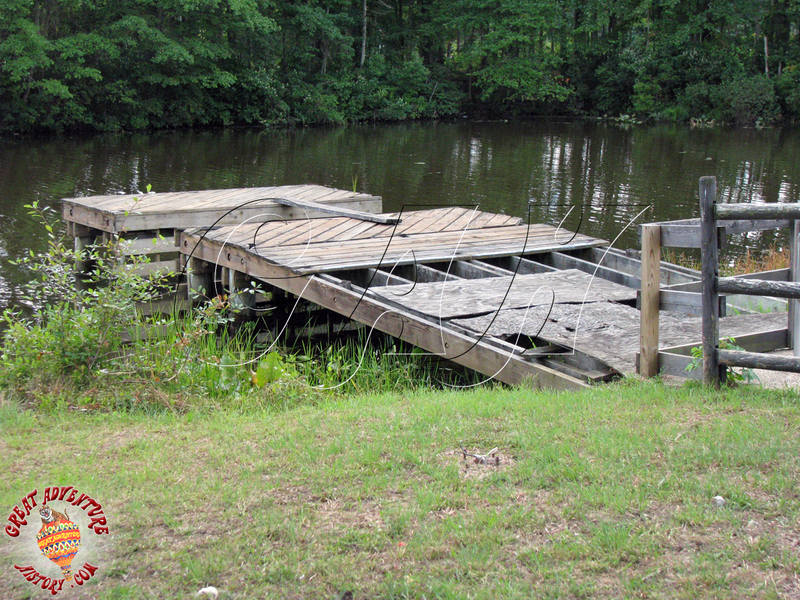 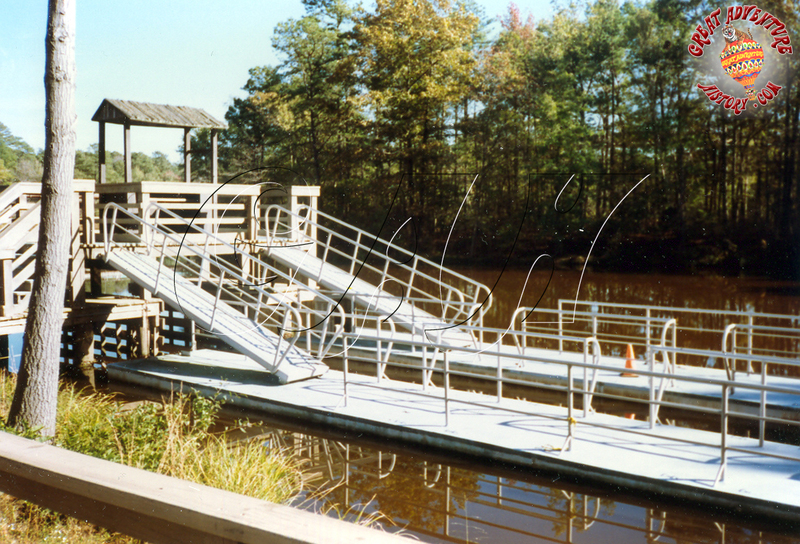 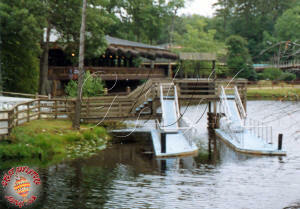 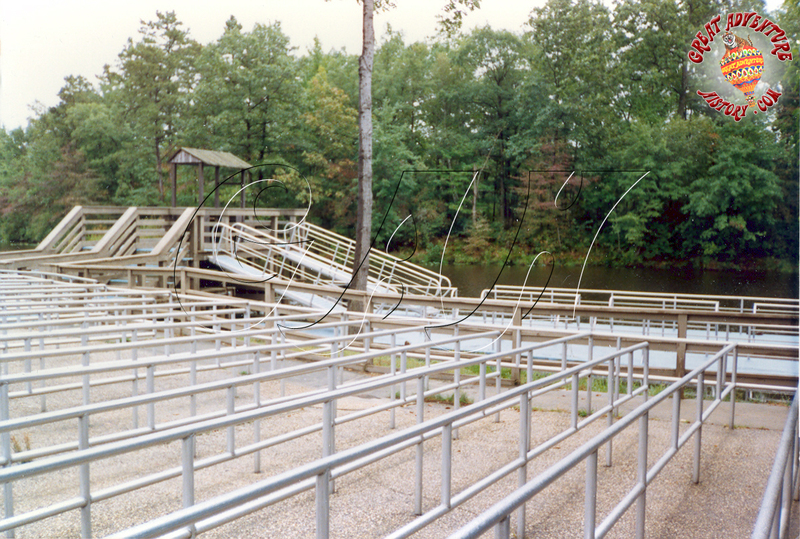 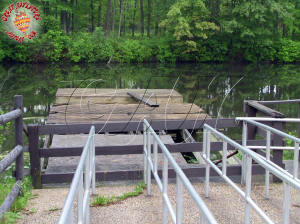 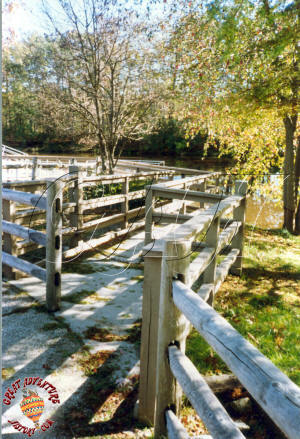 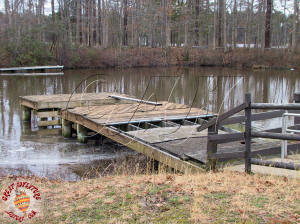 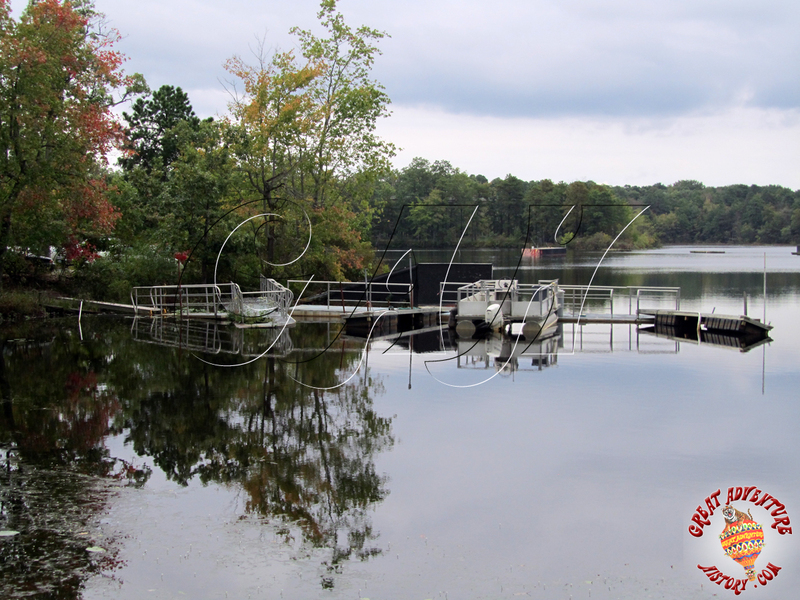 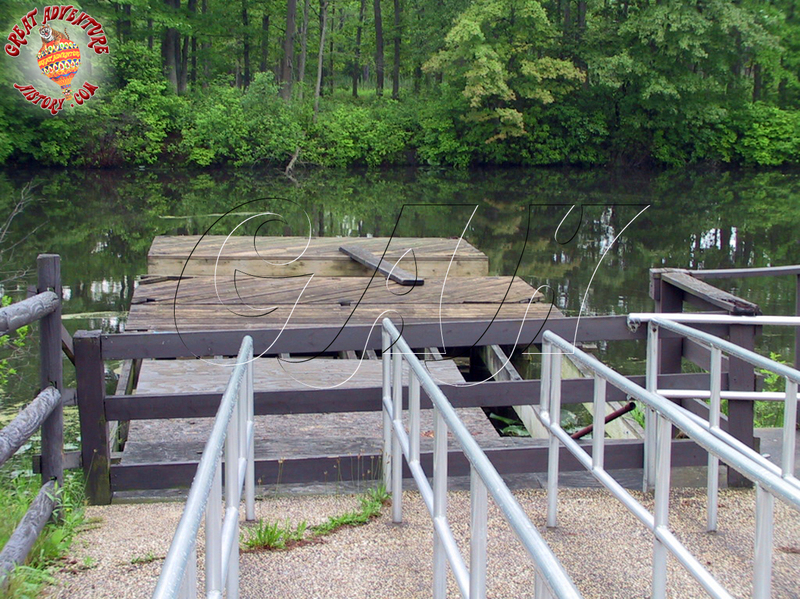 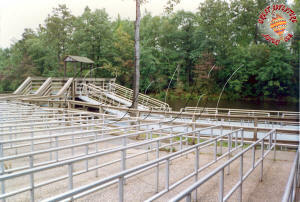 The lake was partitioned off at the Log Flume trough with floating barriers which kept the boats in a manageable area, within view of the dock. 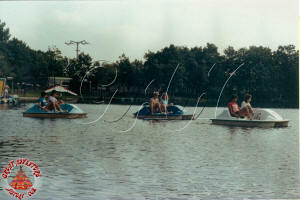 A fleet of fiberglass paddle boats in red, yellow and blue were purchased for the attraction. 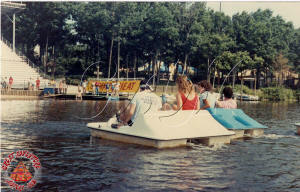 Guests could rent the Paddle Boats by the half hour, with most guests using the boat for less time as the lake area was relatively small and the peddle power required to move the boat was strenuous and tiring. 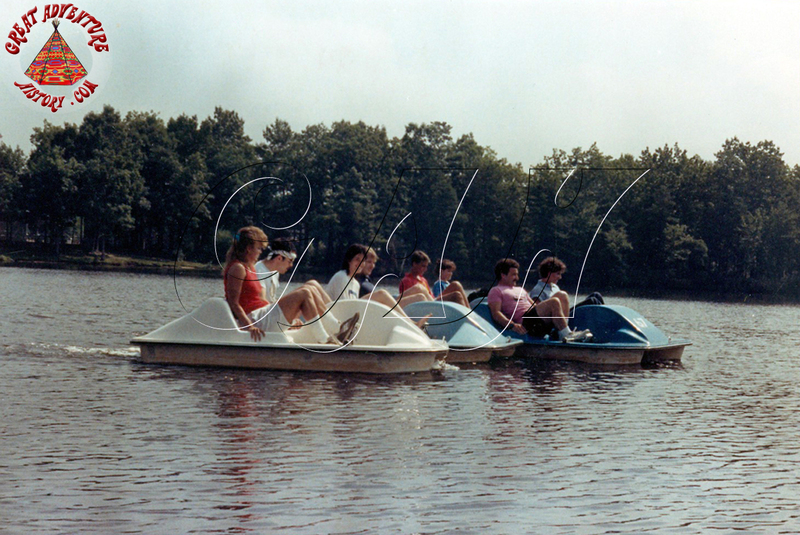 Despite the fact that the boats were very stable and the water was less than inviting, the crew of the Paddle Boats would often have to fish guests out of the lake who fell or jumped into the water. This problem increased on hot days when guests were looking for relief from the hot sun, and since the boats offered no shade and the work of paddling the boat was strenuous, guests often threw caution to the wind and just jumped into the murky water. 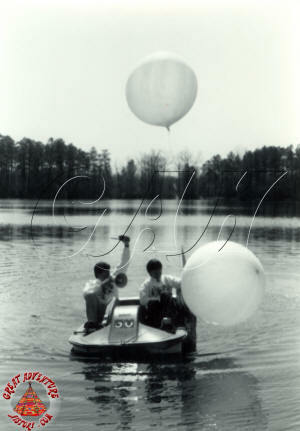 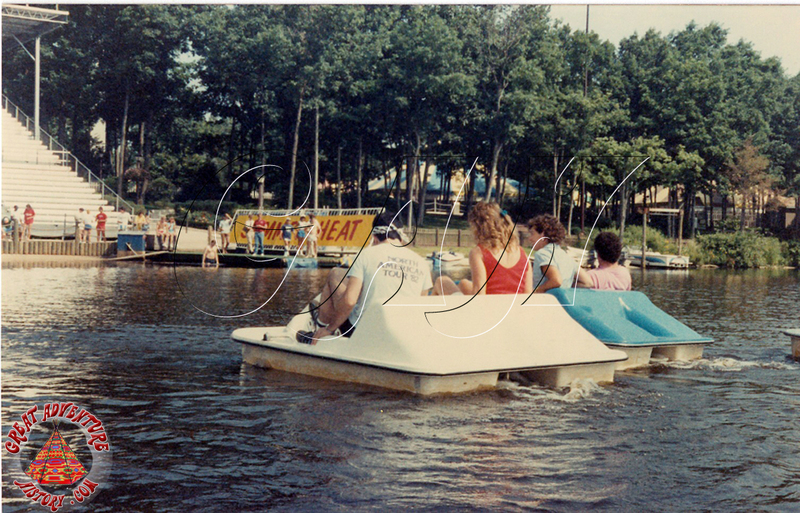 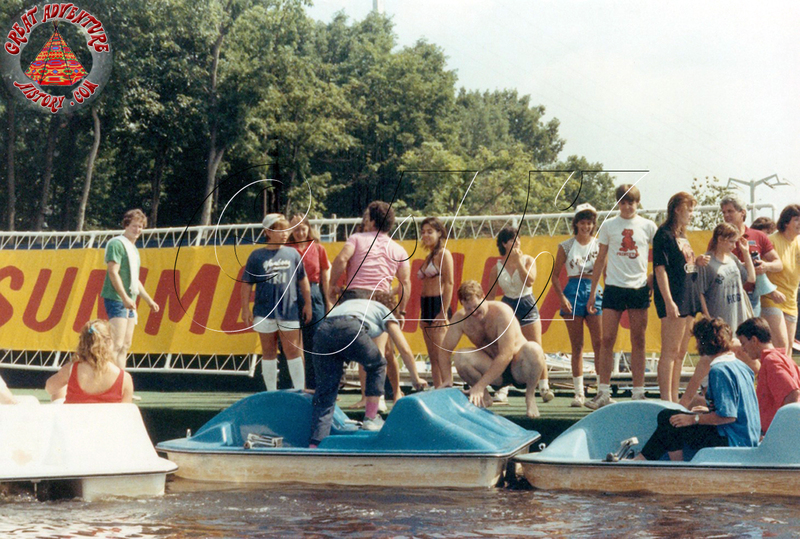 During the seasons of operation, the paddle boats were also used in many employee events including paddle boat races on the Great Lake as part of the Great Adventure Fun Olympics. The races typically took place in the morning hours prior to the park opening for the day. 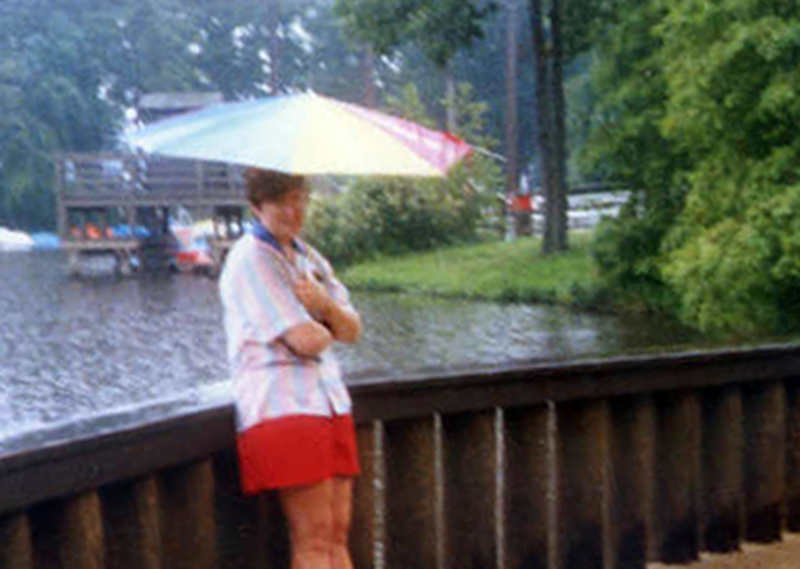 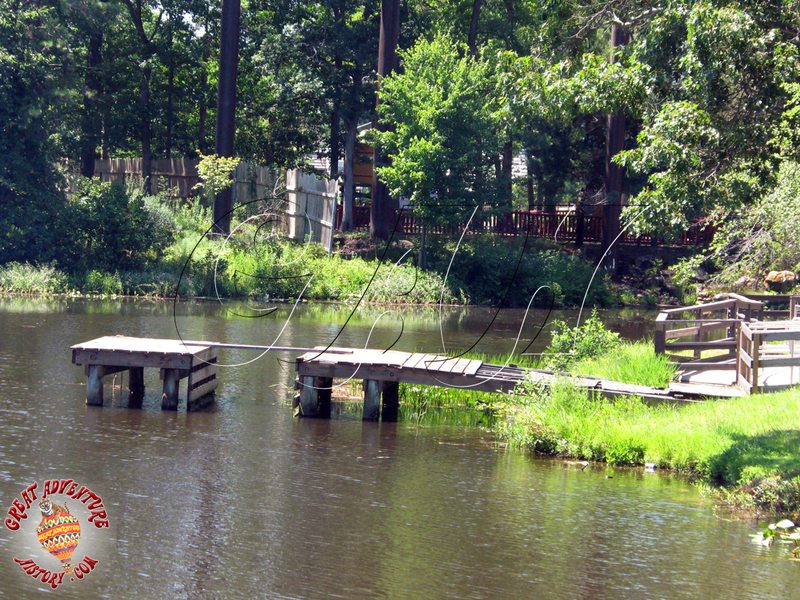 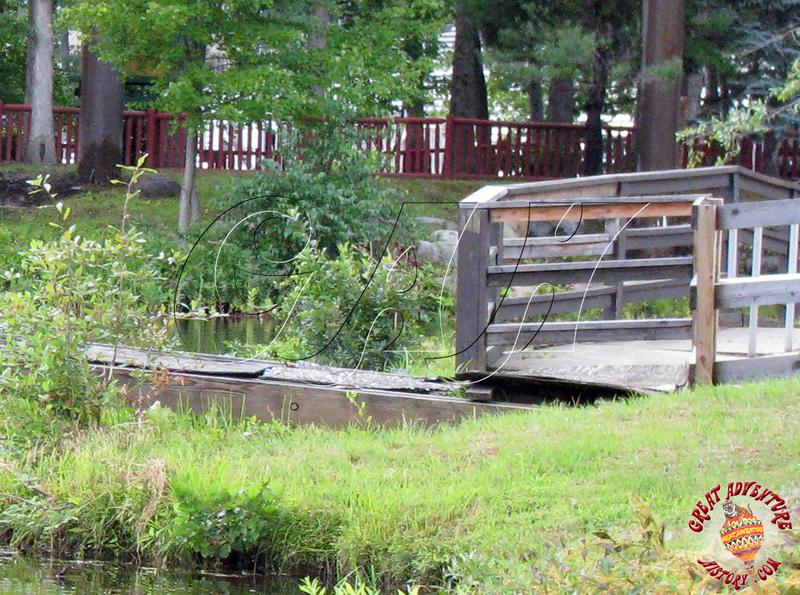 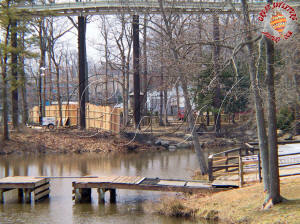 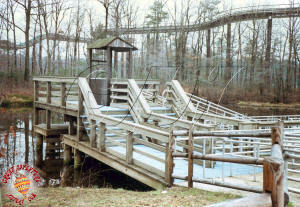 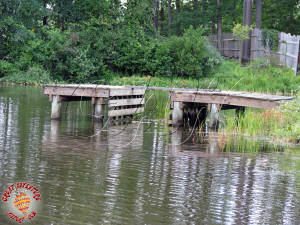 For the 1988 season the park looked to overcome a bad reputation from a string of incidents, so as part of a renewed focus on safety, the Paddle Boats were removed to eliminate the chance of guests requiring rescue from the lake and the dock sat abandoned for many seasons. 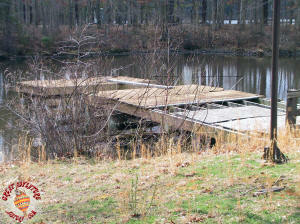 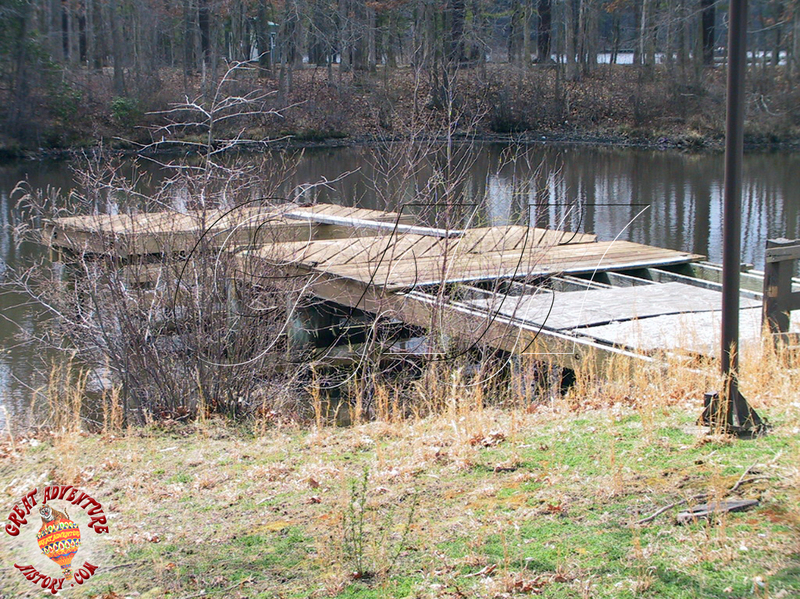 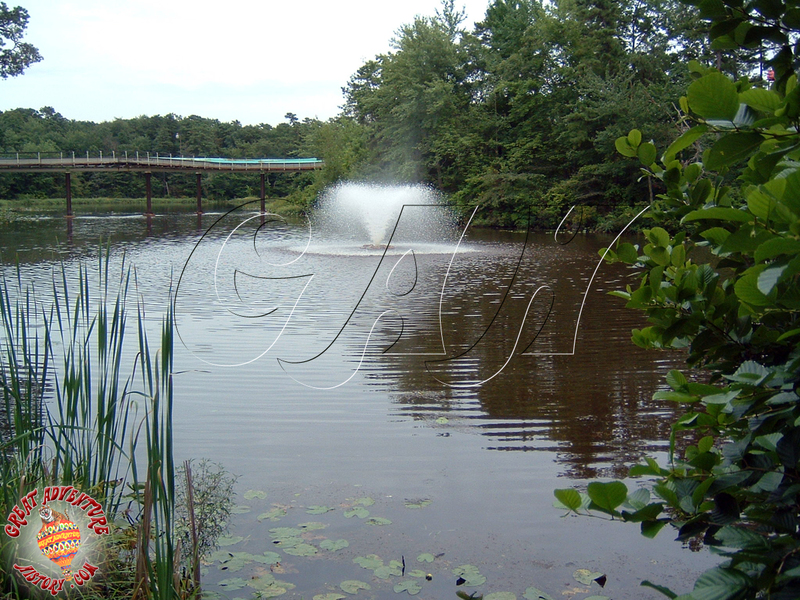 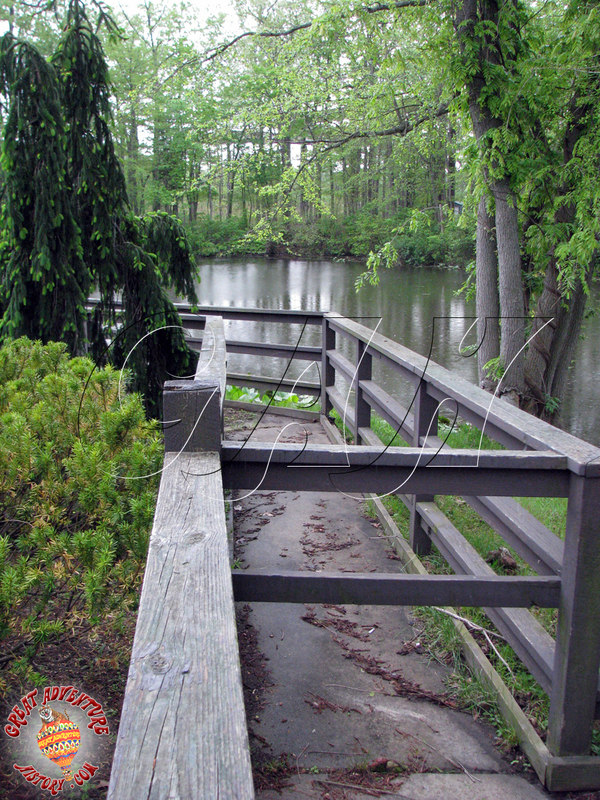 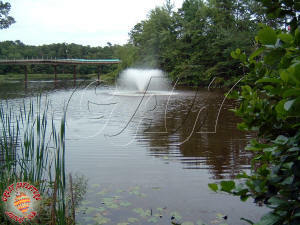 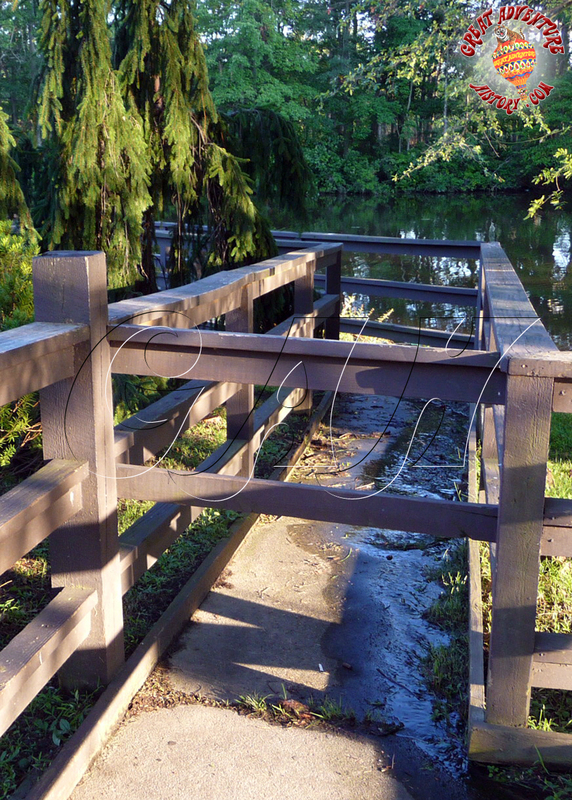 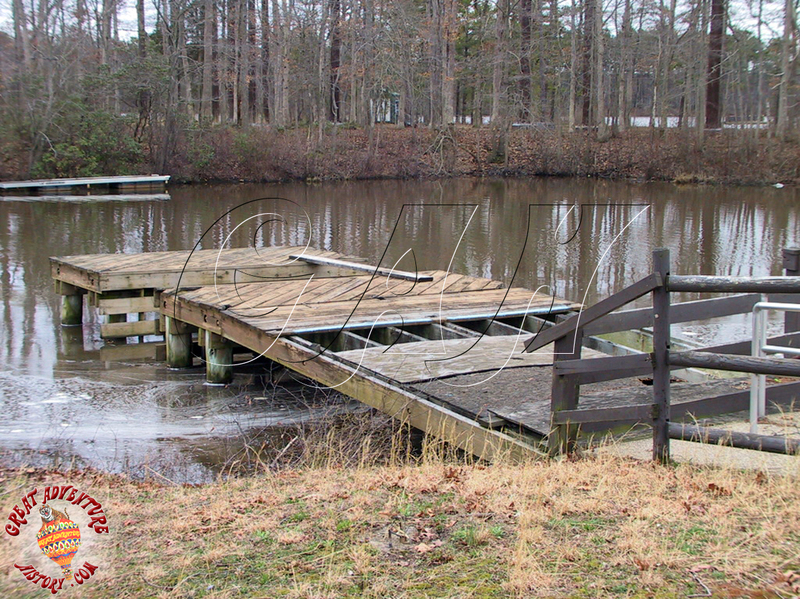 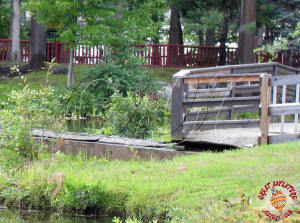 After years of the Paddle Boat docks sitting unused along with the overflow queue for the Log Flume on the far side of the pathway, the excess pavement and queue rails were removed in 2010 and the bank of the lake was replanted with grass. 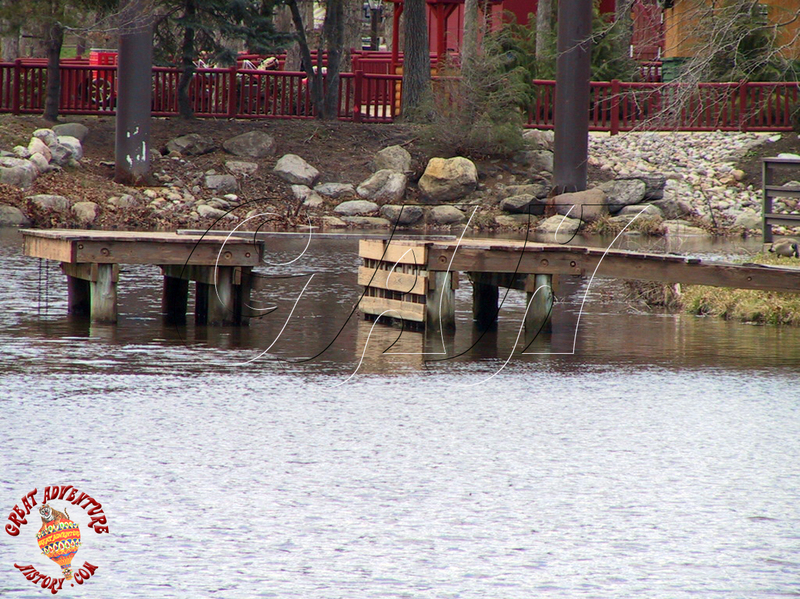 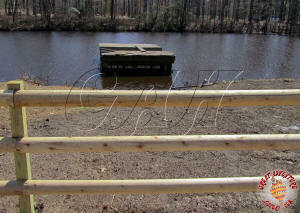 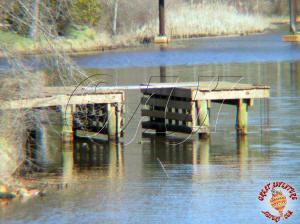 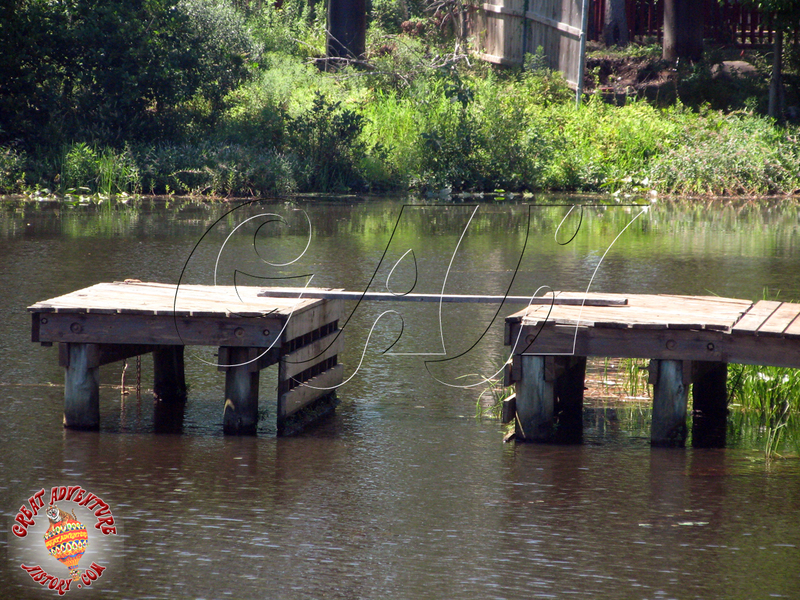 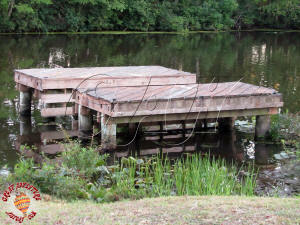 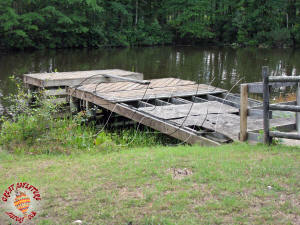 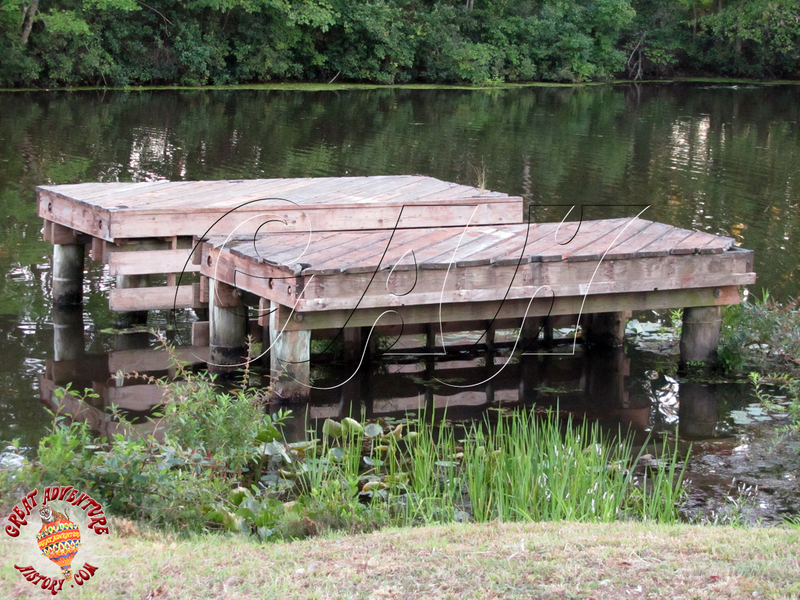 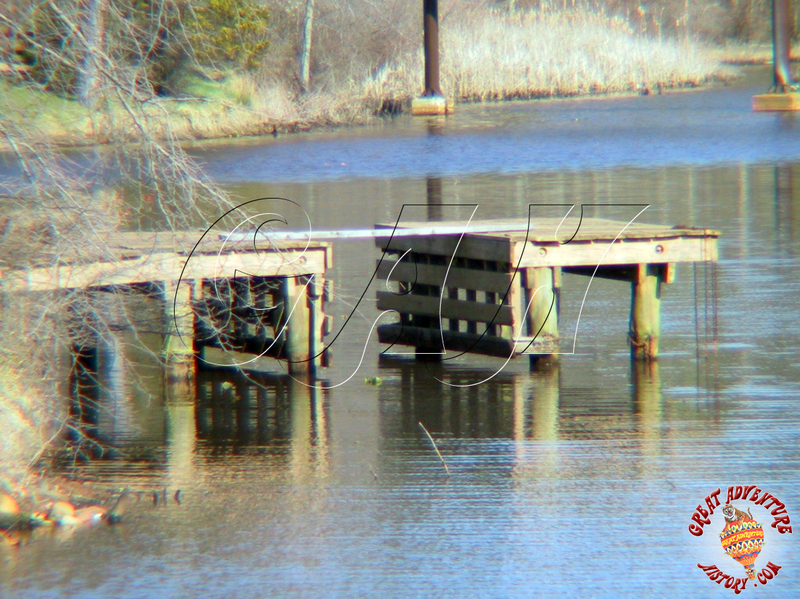 The only remnants of the Paddle Boats still remaining were the docks on pilings. 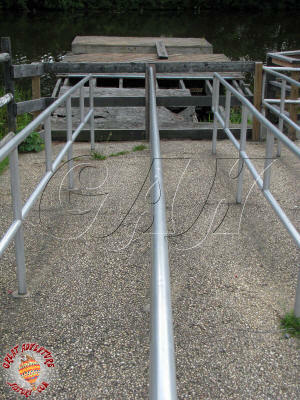 The old metal walkways to reach the boats have been moved to the main part of Switlik Lake where they were used as part of the docks for the old Lethal Weapon Stunt Show and for the fireworks service boats.